Ideal for those who want to transform their front ‘smiling’ teeth, veneers offer the solution to a host of dental imperfections – hiding chips and gaps, smoothing irregularities, correcting misalignment, and whitening. Often considered the go-to treatment for anyone who doesn’t require extensive dental work, veneers are created from eggshell-thin layers of porcelain, permanently bonded over your existing teeth. Veneers can be used on individual teeth, in tandem with other cosmetic treatments, such as dental bridges, or to create a full smile makeover. 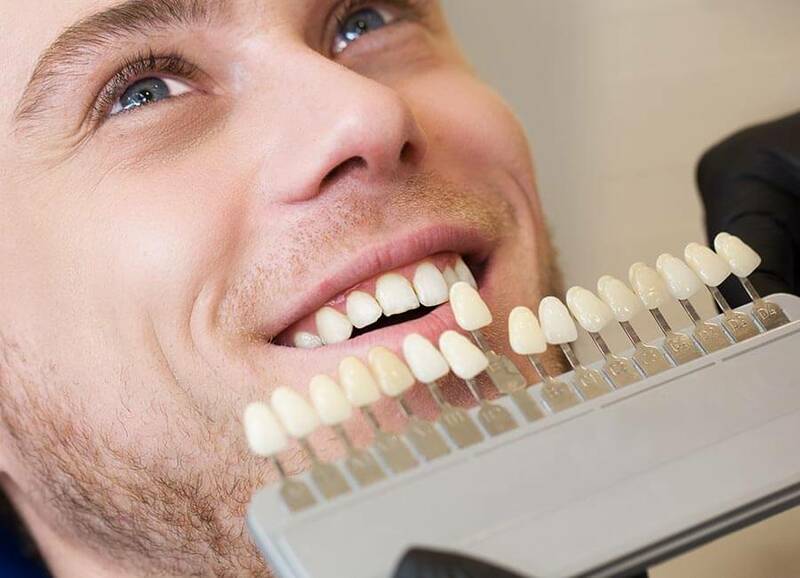 At Stricklands Dental Fitness Centre, our experienced team will be able to talk you through the options, including the cost of veneers and what they can do for your smile. If you’re considering getting porcelain veneers in Surrey, the first step is to book a consultation at Stricklands Dental Fitness Centre. If your dentist agrees that veneers are the right solution for you, the procedure will typically require two or more sessions at the practice. Firstly, the teeth are prepped: this involves removing a thin layer of enamel, under a local anaesthetic if required, and taking a dental impression, which will be used to fabricate your veneers – a process that usually takes a couple of weeks. 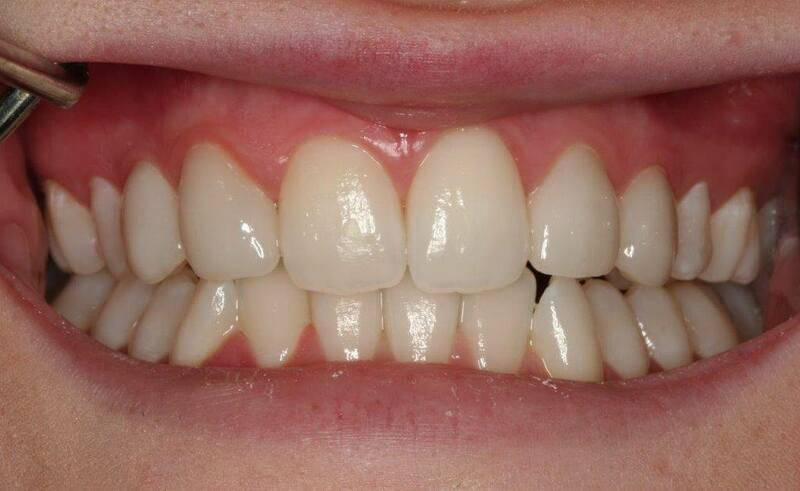 When your veneers are ready, they will be bonded and cured using a special light-sensitive resin. Porcelain veneers are a great catch-all solution for minor dental issues, but they are by no means the only solution. Sometimes just one treatment isn’t enough to achieve the results you’re looking for. 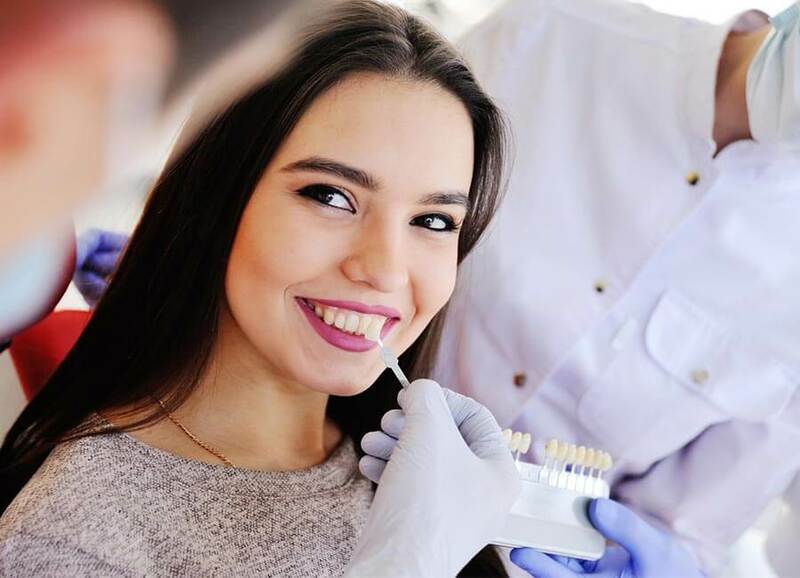 If you’re in this situation, we can help you plan a complete smile makeover, combining a blend of different treatments and techniques – from orthodontics to implants and whitening. If you are unhappy with the overall appearance of your smile, but not sure where to begin, we’ll suggest an informal consultation during which we can establish exactly what you would like us to achieve, and put together a treatment plan to suit your needs, budget and lifestyle. To prepare your teeth for veneers, the dentist will file away a very thin layer of enamel, proportionate to the thickness of the veneers. This is usually carried out under a local anaesthetic. When your bespoke veneers are ready, the dentist will bond them in place using a special curing light, and finish by fine-tuning their look and shape by hand. Veneers can last between 10 and 15 years, though you will need to commit to maintaining a good oral hygiene regime. The life expectancy of veneers is always increasing as materials and techniques become ever more advanced. Veneers aren’t susceptible to staining the way your natural teeth are, because porcelain is not porous. 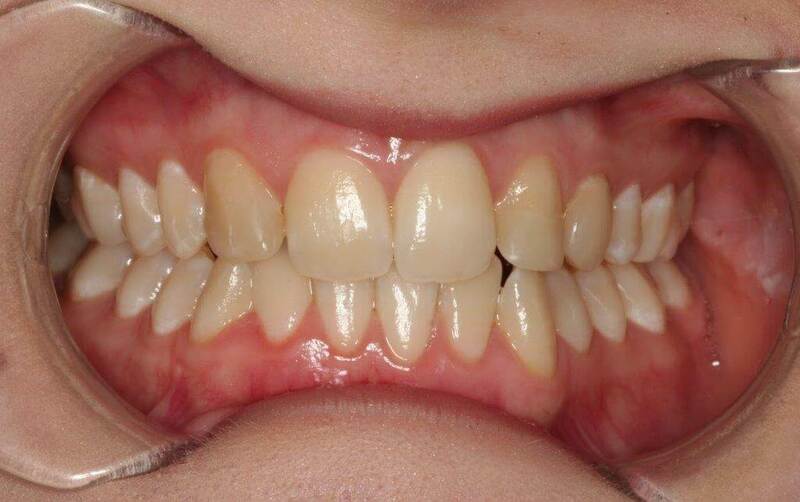 However, some staining may appear over time at the margins, where the edges of the veneers meet your natural teeth. Your dentist will take this into consideration before recommending veneers, and may recommend a dental night guard, which will protect your veneers tooth wear. A smile makeover is a completely bespoke treatment that could include any number of treatments available at Stricklands Dental Fitness Centre, from specialist orthodontics to cosmetic restorations, implants or whitening.